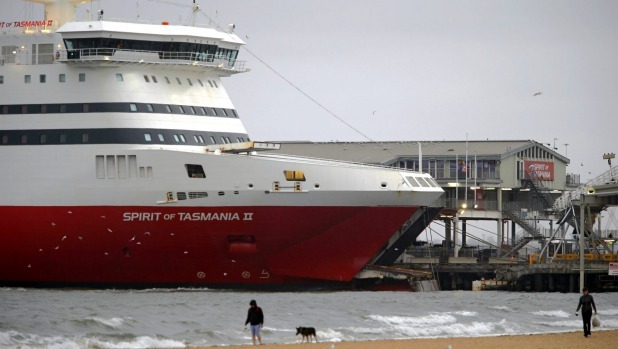 A campaign to rename the Spirit of Tasmania II, ‘the Spirit of Sydney’, has been successful, with TT-Line Company CEO Bernard Dwyer announcing the name change this afternoon. The crusade sprung into action Wednesday evening after reports that the Spirit of Tasmania II broke free of its moorings and crashed into Port Melbourne. It quickly gained popularity among Sydney-siders as it managed to combine both Melbourne-centric schadenfreude with the real hope that someone from Melbourne might have been killed. “Sydney represents many wonderful things about Australia and I don’t think a vessel has captured that real spirit of Sydney since the truck that caused the Burnley Tunnel fire,” Mr Baird told reporters. Along with the name change, the new Spirit of Sydney is expected to have its bars upgraded with more poker machines and to have its arts budget cut significantly. Matthew Farthing is the State Reporter for the (un)Australian. He opposes changes to the New Start Allowance as it will potentially devastate Melbourne’s music scene.